For quite a while, there has been a competition to be the top social media app among the major players. Instagram looks forward to acquiring that top position. For strengthening its impact profoundly among social media fanatics, the Facebook-owned app has added some new features to its directory, including a feature to share other people’s Stories posts. Instagram plans to test the latest features that will let users share posts with the touch of a button. As it is in a testing phase, the feature is still not completely available to all. The small group of testers, who are able to use it, can also toggle it off from the Instagram’s setting menu at will. The app has also added features that allow a user modify the design of the shared stories. Some of these include – changing the colour of the background as to match with the primary colour of the image, changing the size of the image, adding stickers to the posts, etc. While it may not be considered a revolutionary feature, it was still shared around the social media by the testers. Even though the response to the feature was not groundbreaking, it did highlight the appreciation from the users. With such features, Instagram may look forward to taking Snapchat head on. What may excite Instagram fans is the feature called Cinemagraphs, where a part of an image can stay animated. The feature may make many curious to try it out, even if it is just for fun. Another notable feature that Instagram is working on is a map-based tool that will optimise the shared stories for users. Instagram owner Mark Zuckerberg confirmed that these features would also be added to Facebook’s push tool. According to him, these features are a step towards the new age of social media sharing. He further noted that Stories would be trending among users, as it becomes the primary sharing feature, obscuring feeds. This could give some serious competition to Instagram’s rival Snapchat. Albeit, the latter has shown a decrease in Stories sharing, yet there has been an increase in the use of messaging features by users. While Snapchat may possibly not be able to threaten Facebook’s reign, it still may have time to revive its lost numbers. In the end, it all depends on creativity among the developers of such apps. Users will be lured towards the one that can provide better features in their apps. Snapchat still remains popular among the teens, even more than Instagram. This concern has made Facebook take such steps to add new features, which may give fruitful results. We can just look forward to the results once the tools are available for usage to all users. 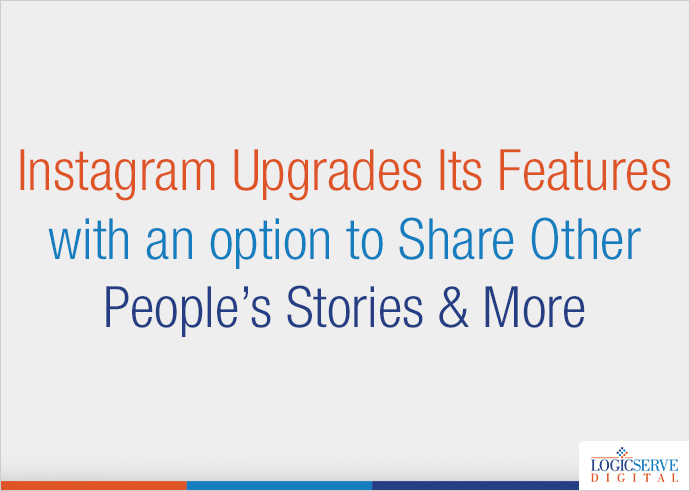 Who knows, maybe Instagram’s new features will take over the users who are enticed by its cinemagraphic presentations. It will all be clear really soon.